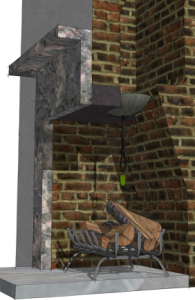 The Chimney Sheep draught excluder for chimneys comes with its own dangle, and it is very important that this is visible at the top of the fireplace so no-one forgets it is there and lights a fire. There are also a range of dangles that can be hung from the handle to decorate your fireplace and make it look more cheerful when the fire is out. If you want to light the fire the Chimney Sheep is easily removed – pop it in a gorgeous wrap to hang from the mantelpiece or put it in a bag in the cupboard, then push it back in when the fire is completely out. 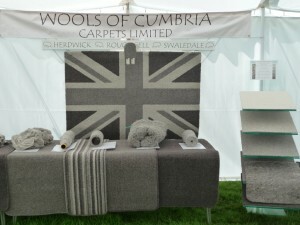 Wools of Cumbria Carpets is proud to be able to offer wool grown, sheared, scoured, spun and made into carpet within 100 miles of the centre of Cumbria. Broadloom carpet and tiles, from our ‘Graphite, ‘Designer Graphite Stripe’ and ‘Colourwash’ ranges can be sold and delivered direct to the consumer anywhere in the UK. Every square metre sold provides funds for the HSBA. 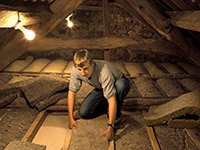 Second Nature UK Ltd is the maker of “Thermafleece” sheep wool thermal insulation, an innovative recyclable product improving the energy efficiency of buildings made from fell wool including Herdwick.